Since the foundation in 1992, H & H Orient Inc has continuously promoting the future trends it foresees in the manufacturing field. It is hoped that the upgrading of overall quality can bring the manufacturing field in Taiwan to a standpoint in the world no one else can reach. All the way H & H Orient Inc has insisted its consistent customer-oriented spirit to serve its customers. 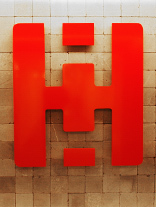 With rich experiences and knowledge in the industry, H & H Orient Inc is able to maintain its leading position in the market, extending the concepts of “asset health management” and “health care”, guiding its customers to pursuit better working efficiency and living quality, creating strong trust and good image deep in its customers’ hearts. With the aging of the population in Taiwan, H & H Orient Inc insists its “human-based” management ideal, introducing the stairlift products of the highest quality and best reputation in the world to the market, so that the disabled can move more freely in their homes and live with quality. Manufacturing is the mother of industry. The focuses of business management in the manufacturing field are on man, machine, material, method, and environment, so that scientific management of manufacturing behaviors can be implemented. In the quality control circle (QCC), when analyzing a problem, man, machine, material, and method are considered as the key factors to plan for solutions of engineering problems. After automation of production equipment, the influences of equipment on production capacity and quality are higher than those of personnel. This shows how important equipment maintenance is. With the advancement of technology, production equipment maintenance has changed from the traditional time based maintenance to condition based maintenance. Due to the deterioration of external environment, management of enterprises is getting harder. How to make maintenance reasonable, increase income, decrease expenditure, and improve enterprise management performance has become an important goal for company management. Therefore promoting this system is imperative. In order to help industries in Taiwan to become more competitive in the global market, H & H Orient Inc has put in a lot of efforts in combining domestic and foreign professional talents, knowledge, and technologies, following the cycle of “plan, do, check, and act” of QMS in ISO9000:200 to continuously accumulating experiences, offering the most complete equipment maintenance service solutions, helping customers to enhance their equipment maintenance management tasks with the most scientific method, improving production equipment efficiency, and further increasing production capacity and reducing operational costs. H & H Orient Inc has 20 years of solid field experiences in the field of equipment maintenance. With rich professional knowledge and technology, it offers best solutions to equipment maintenance issues in different types of manufacturing industries.